Delicious…plastic food - Comidas Magazine - Because we love comidas. When wandering around the streets of Japan you can see in the window displays of the restaurants plastic food samples. Known as サンプル, meaning “sampuru” a derivation from the English word sample, this fake food has been part of Japanese daily life for nearly 100 years. How is it made? In the early years, food replicas were made out of different type of wax. However, those would not be long lasting enough and now they are made of vinyl choloride, a material that doesn’t fade or deteriorate as fast with time. One might think that giant factories would mass produce those sample but most of them are actually handcrafted. 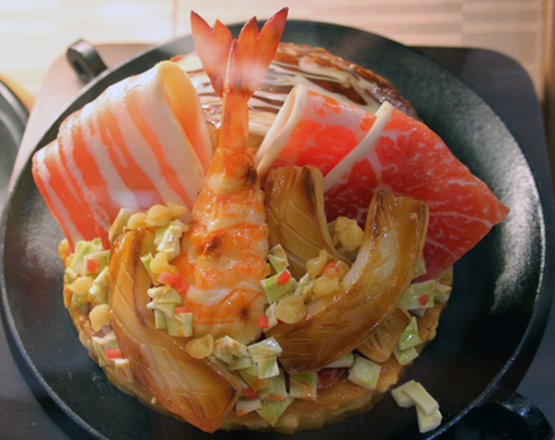 Like many other jobs, the Japanese artists that create the fake food take great pride in their craft and make it with breathtaking details_ often using the same methods as the ones to make the actual dish: chopping up and combining in a manner similar to cooking. Plastic food has never looked so tasty! Where can you buy it? I must admit that one of the biggest focus of my trip to Japan was to eat…and then maybe do a little sightseeing near the places I ate at. In fact there is a place in Tokyo that is interesting for “regular” tourists and for the foodie ones: Kappabashi-dori or “kitchen town”. This street has a huge concentration of restaurant equipment suppliers whether they are large companies or very small shops. It is the place where professionals go to buy lacquer trays, plates, pots and pans, etc. Also if you are looking for amazing knives, you will not be disappointed by the variety and quality of the ones you can find over there. 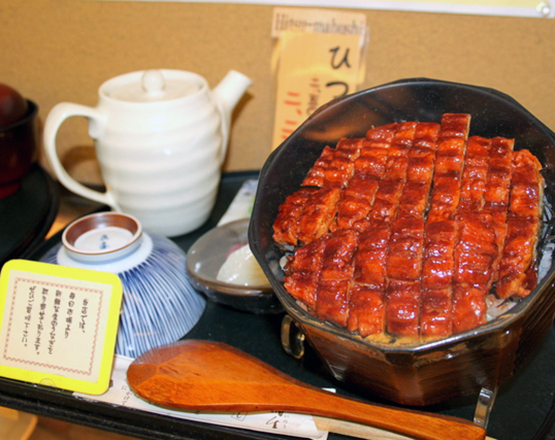 The plastic replicas are of course useful for the Japanese to get information about the dish _ what side dish is served, the quantity to expect…and tempt the potential customer to take a bite inside the restaurant of the amazingly looking deep-fried “tonkatsu” pork cutlet. For the foreigners, it is an incredible, lifesaver tool to help making a decision when you cannot read or speak Japanese. Many places only offer a menu in Japanese and considering the wide variety of food available throughout the country it would be a shame to only stick to English menu places. Just take a look at the sample, pick something out and use the cross-cultural communication technique of “finger pointing”! It’s really a nice and useful piece of information. I am satisfied that you shared this useful info with us. Please stay us up to date like this. Thanks for sharing.